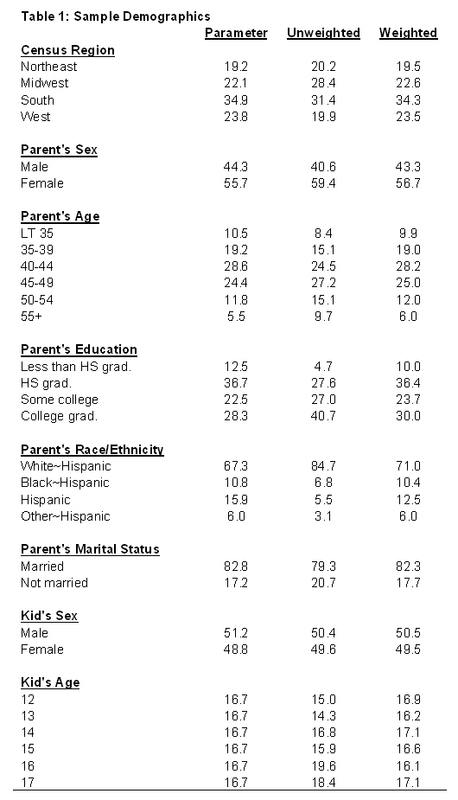 The Parents & Teens 2006 Survey sponsored by the Pew Internet & American Life Project obtained telephone interviews with a nationally representative sample of 935 teens age 12 to 17 years old and their parents living in continental United States telephone households. The survey was conducted by Princeton Survey Research Associates International. 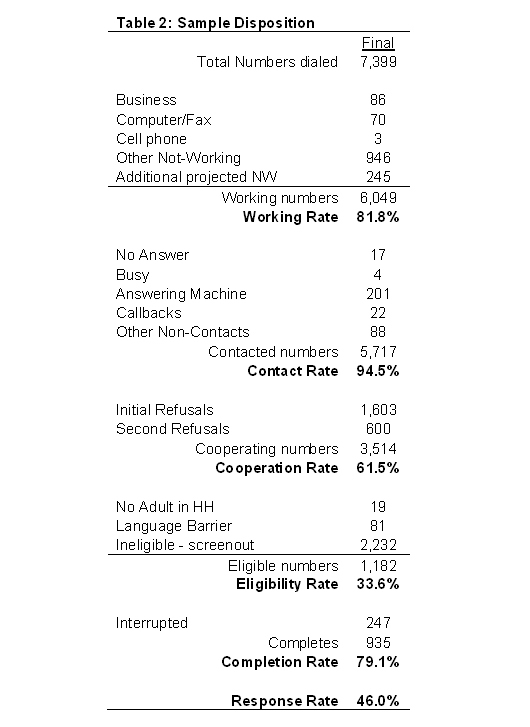 The interviews were done in English by Princeton Data Source, LLC, from October 23 to November 19, 2006. Statistical results are weighted to correct known demographic discrepancies. The margin of sampling error for the complete set of weighted data is ±3.7%.